I'm Lisa, a mom of three living in the Outer Sunset of San Francisco. When I'm not volunteering or substitute teaching in SFUSD (#37928), managing sports teams or organizing events like Sayawan, Tule Elk Park's Spring Fling, or Boo by the Beach for our community, I also provide part time and drop in child-care. Surf's up and no child care? Bring your little ones by! School is closed, but you have to work? See my reviews if you are interested. I am a CA credentialed teacher with 8 years of high school English experience and 4 years of infant, pre-K and elementary experience. My goal is to provide a loving, highly enriching, and affordable childcare environment for families in the Outer Sunset while caring for my similarly aged children. Email me or visit me on social media to set up a visit. 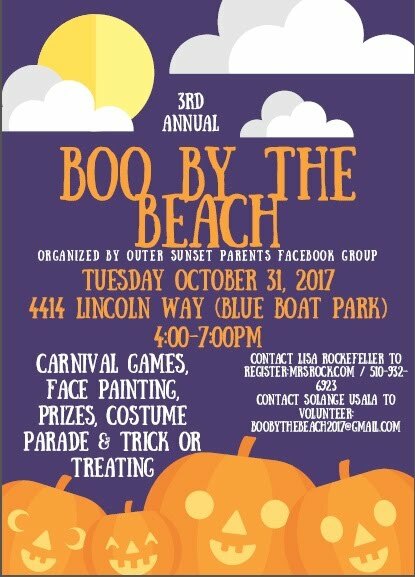 Members of the Outer Sunset Parents Facebook Group in San Francisco are organizing Halloween festivities including family friendly activities and a costume parade. 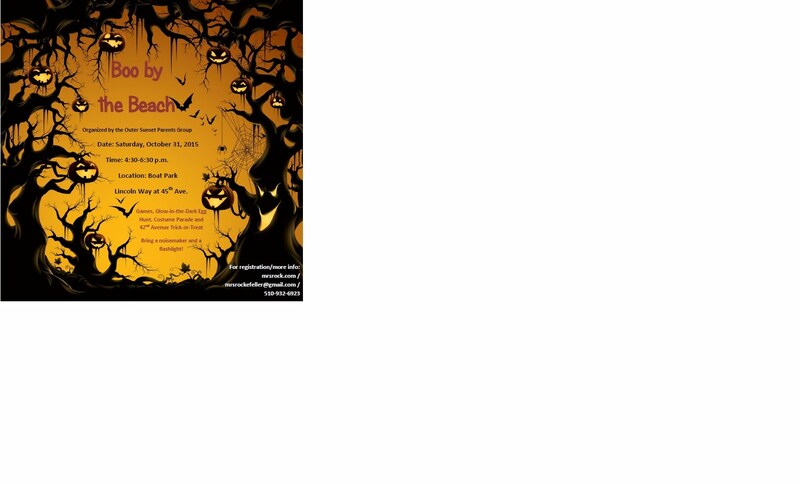 Gather in Boat Park at 5:00 pm (Lincoln at 45th Avenue) on Halloween, Friday, October 31, 2014. We also are encouraging you and your neighbors to organize an old fashioned trick-or-treat and driveway block party beginning at sundown. Potluck, decorate your house, pass out candy or healthy treats to the kids of our neighborhood, etc. Thank you in advance for your participation! Please register your child(ren) below!